OUTDOOR SHOWER. 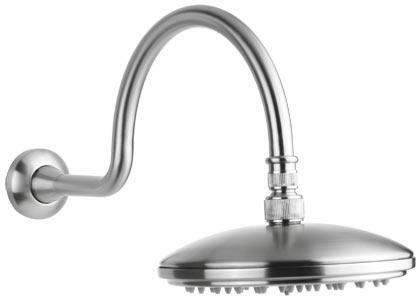 STAINLESS STEEL ALL-IN-ONE CURVED SWAN SHOWER HEAD AND ARM WITH MIXER VALVE. 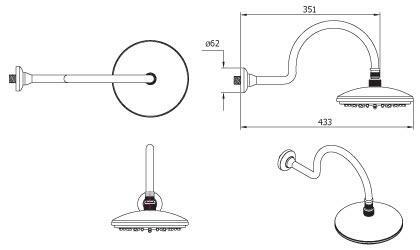 This wall mounted shower set comprises the all-in-one 193mm curved , classic swan shower head and mixer valve. A simple, minimal approach if you like the "less is more" philosophy. 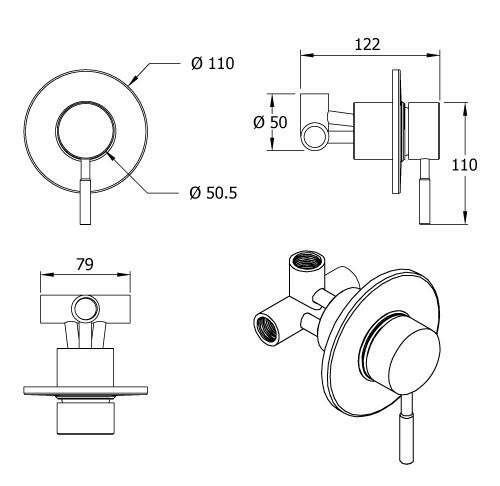 Suitable for a double / Hot and Cold water supply into the mixer. 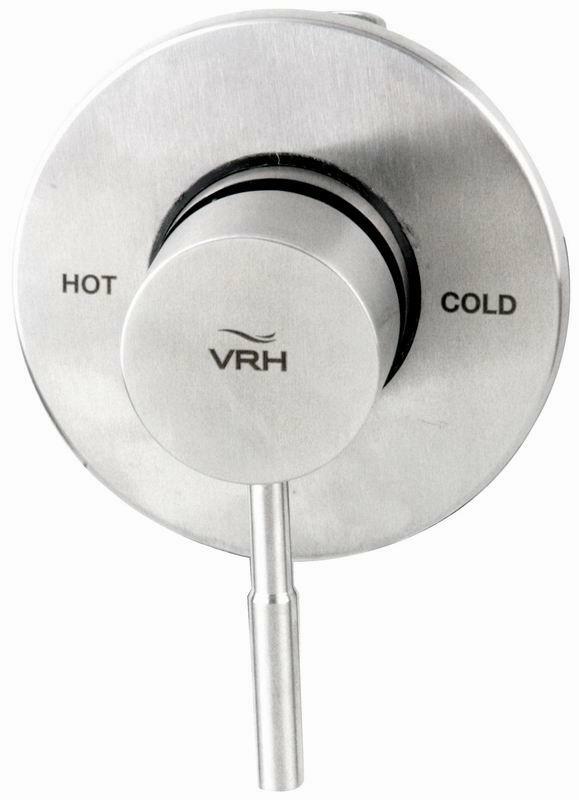 AS WITH ALL OUTDOOR WATER PRODUCTS, THE SHOWER MUST BE ISOLATED AND DRAINED DOWN BEFORE COLD WEATHER TO AVOID ANY WATER TRAPPED IN THE SYSTEM - WHICH COULD EXPAND AND CAUSE DAMAGE TO THE INTERNAL VALVE.